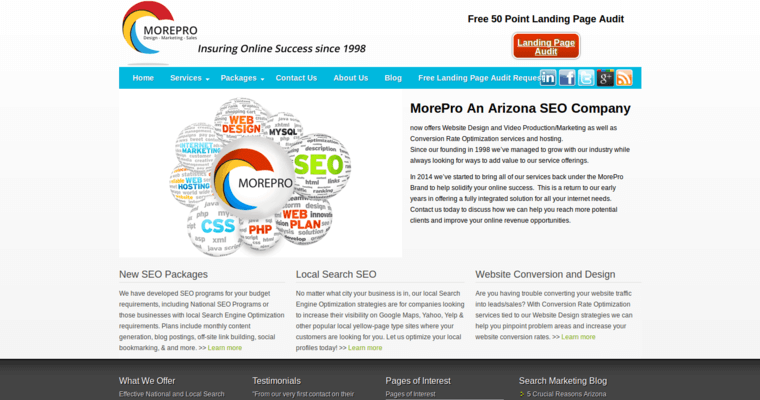 MorePro is an affordable website design company that offers award-winning SEO strategies. The firm's professional team consists of expert programmers, video marketers, content creators and conversion specialists. The company offers small and large business owners and organization affordable SEO packages that include content generation, link building, social bookmarking and blog postings. 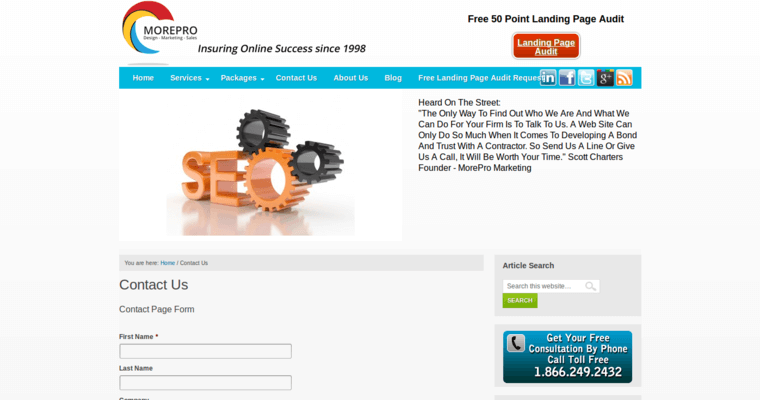 MorePro's website design services use the power of the well-known content management system WordPress. The company's video marketing package includes high-quality web video services, on-location shooting and scriptwriting. 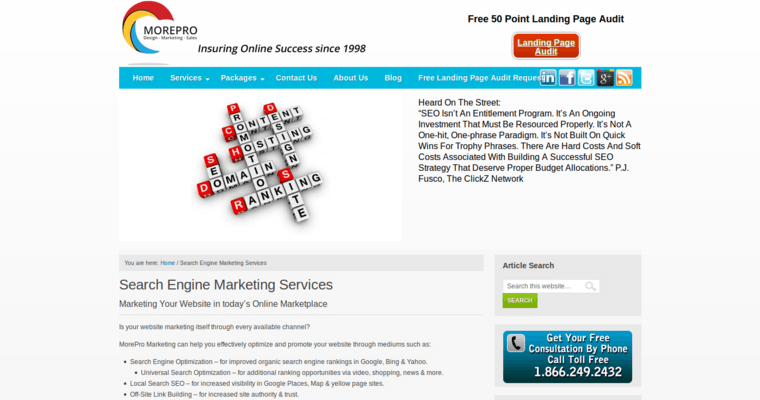 MorePro also offers reputation management services that are driven by search engine optimization. Pay-per-click advertising and website consultation are also available.